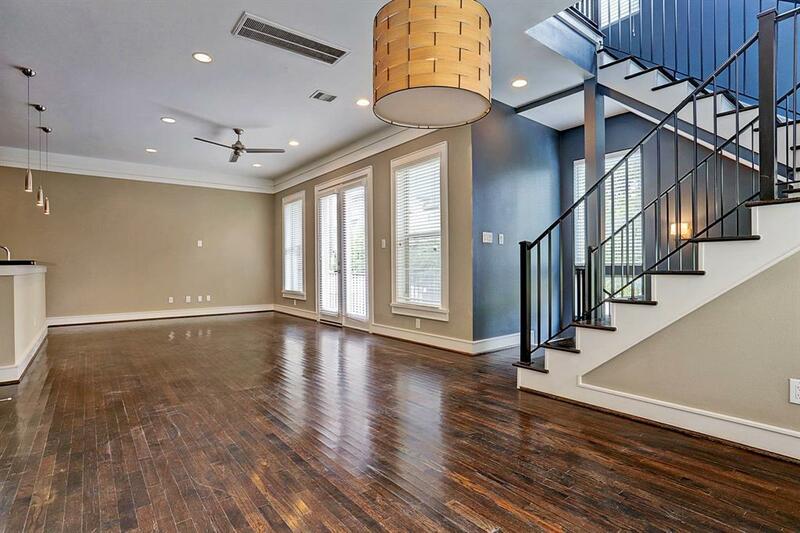 Beautiful Contemporary Rice Military home with large side yard. This home has it all! 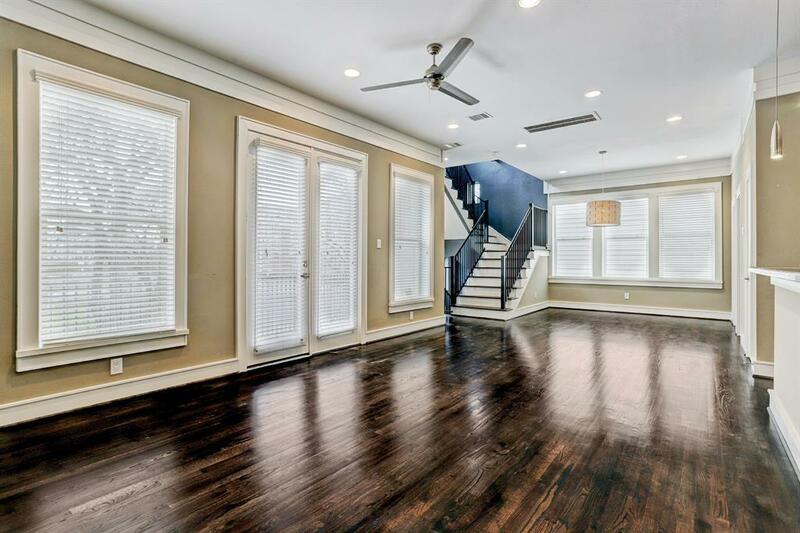 Home has a very open floor plan that brings in tons of natural light. 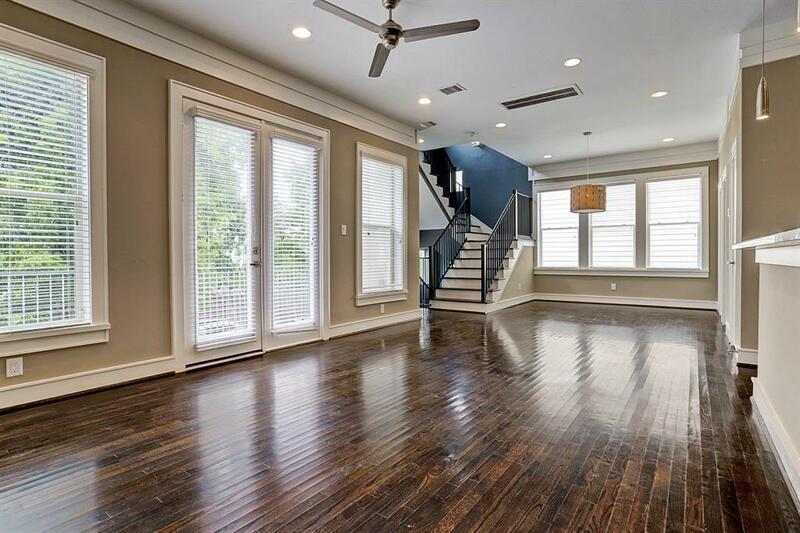 1st floor is stained concrete and the rest of the home has beautiful dark hardwood floors. No carpet! 1220 Detering features great sized bedrooms/closets and sizable bathrooms. Interior features include high-end Bosch appliances, black granite in kitchen and bathrooms, mosaic backsplash and balcony off the living. Park in your private driveway and walk to tons of restaurants/nightlife! 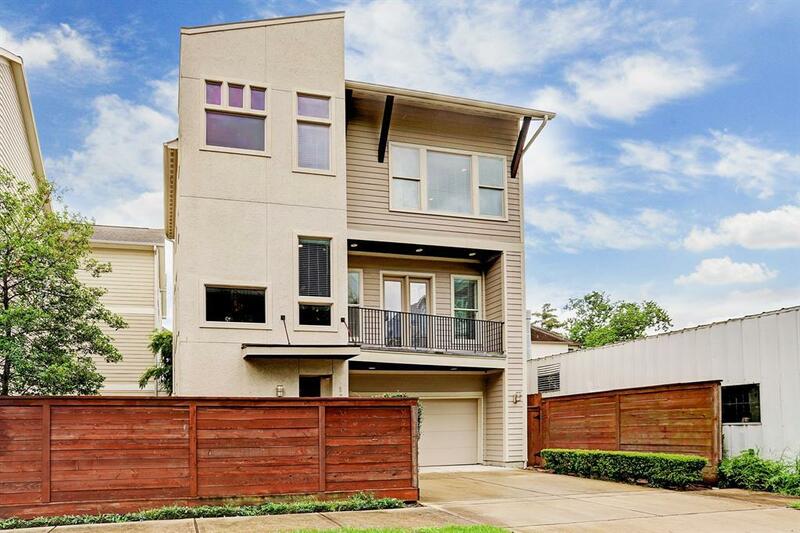 No HOA fees and no flooding from Harvey per sellers!